Since their debut in 2001, Grammy-nominated, multiple American Music Award- and Dove Award-winners MercyMe have sold more than 9 million units in CD, single and DVD sales, garnered 27 No. 1 multi-format Christian radio singles and four consecutive mainstream radio hits with "I Can Only Imagine," (No. 4 AC/Top 25 on Top 40/Hot AC), "Here With Me" (No. 4 AC), "Homesick" (Top 10 AC) and "So Long Self." Their radio success has continued with recent singles "Flawless" (No. 1 for 15 weeks) and "Greater" (No. 1 for 16 weeks), landing them the Top Christian Airplay Artist spot on Billboard's 2015 Year End charts. MercyMe made history in 2014 as "I Can Only Imagine" surpassed 2 million digital downloads, making it the first song in Christian music to go platinum and double-platinum in the digital domain. 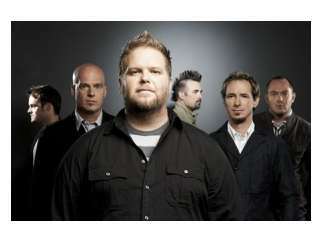 In 2009, Billboard named MercyMe's "Word Of God Speak" the No. 1 Song of The Decade and the group the No. 1 Artist of the Decade in both the Christian Songs and Christian AC Songs categories, recognizing them as one of the industry's most notable talents.